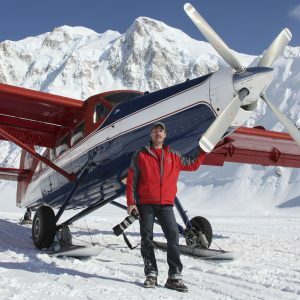 Rich Hulina has been photographing aircraft since the mid 1980’s. Rich graduated from Confederation College with diplomas in the Aviation Flight Management and Aircraft Technician-Maintenance programs, after which he continued to pursue his love for aviation. A few years later, he became the owner and operator of a small aviation company, operating bushplanes in the North until 2014. His passion for bushplanes and photography led to the publishing of his first book in 2011, titled, Bush Flying Captured. When Rich is not chasing airplanes across the North, he stays active in NW Ontario by flying many of the bushplanes he enjoys photographing. He continues to reside in Sioux Lookout, Ontario with his wife Shannon and two children, Brodie and Teale. He has just launched his second book, Bush Flying Captured II, available here.